Bhutan Lhayul Tours and Travels organizes a wide range of cultural tours and treks to Bhutan. Our cultural tours will give you the opportunity to see the spectacular landscape, unique culture, colourful festivals and to understand the Bhutanese way of life. You can also choose to hike in the mountains to see remote temples and rural villages or to undertake exhilarating treks through majestic mountains, pristine forests and see beautiful lakes. We recognize that every traveller is different – and so we work closely with you to come up with a specific program that meets your specific needs and budget. We have sample tour itineraries that can give you a glimpse of the program. All our tour programs, however, are flexible and can be easily tailored to suit your interests. You can choose to combine cultural tour with treks and festivals. You can also choose to stay in good government approved tourist hotels and lodges, local home stay or luxury hotels and resorts. Bhutan Lhayul Tours & Travels organizes cultural tours that are designed to bring our guest into close contact with an unspoiled land that is home to a vibrant Buddhist way of life, and as close in spirit to Shambala – or paradise – as an earth bound kingdom can be. Festival Tours are a special opportunity to witness “tshechus” which are held annually at various parts of the kingdom during different times of the year. The most popular festivals are Paro Tshechu (March/April), Thimphu Tshechu (Sept/Oct) and Jambay Lhakhang Drupchen(Oct/Nov). During the black-necked crane festival, usually held in November, one can experience the coexistence of tradition and modernization. Throughout the year there are many other special theme- based festivals that celebrate the country’s rich culture and arcane lifestyle. Festivals such as the Nomad festival, Matsutake festival, Chhomolhari Mountain Festival and others offer a glimpse into the unsullied culture of ethnic communities and their unique traditions. Here is the tentative Festival List for 2018. Our tour programs are flexible and can be tailored to suit the specific interests of our clients. We will be happy to work closely with you to design a program that best meets your interests and budget. For a more deeper experience to the Bhutanese way of life, you can also choose to combine this tour with more options to see more Culture or Trekking or with one of our Special Tours. Luxury Tours offers the opportunity to enjoy the beauty of Bhutanese landscape and culture while travelling in luxury and comfort. We can arrange and combine a variety of luxury accommodation and transportation options for you so that you can travel in comfort and style while experiencing the rich Bhutanese heritage and the hospitality of the Bhutanese people. Trekking is Bhutan is unlike anywhere else in the Himalayas. The long and arduous walks are complimented by crystal air, lonely paths and views that defy description. The trails lead you through alpine meadows, rhododendron forests around the foothills of the snow peaked Himalayas, emerald green valleys and crystal lakes. The treks vary from short 3 day walks over relatively low altitudes to 3-week long treks, which take you through some of the highest passes in the kingdom. Popular trekking programs that are easy to moderate include the Druk Path Trek (between Paro and Thimphu), Dagala Thousand Lakes Trek and Chhomolhari Trek. Snowman Trek is a difficult 3-week long trek that circuits around some of the tallest unclimbed snow-capped mountains in the world and is considered to be one of the most challenging treks in the world. For those who do not wish to camp outdoors but still wish to experience the outdoors and walk in the pristine forests, we have many day hike options. 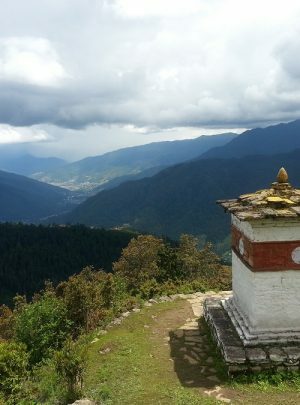 Some popular ones include day hike to Tango Monastery or Lungchu Tse Monastery. For a more deeper experience to the Bhutanese way of life, you can also choose to combine the program with more Culture, Festival Experience or with one of our Special Tours.